Can I Shrink Polyester in the Washing Machine or Dryer? Garments come with fabric care labels that provide instructions on how to wash and dry them to protect the fabric finish and color and prevent shrinkage. If you want to deliberately shrink a polyester garment, you will be violating the instructions on the label. Turn the garment inside out and put it in a regular-sized load. Fill the washing machine with hot water. It is the heat that will do the shrinking. Polyester is a type of plastic, so if the water is too hot, it will melt and make the fabric rigid and unwearable. Keep the water temperature under 230 degrees Fahrenheit. Follow the hot wash cycle immediately by drying the garment on a high setting. Polyester fabric can melt in the dryer, too, so the temperature of the dryer should not exceed 180 degrees Fahrenheit. 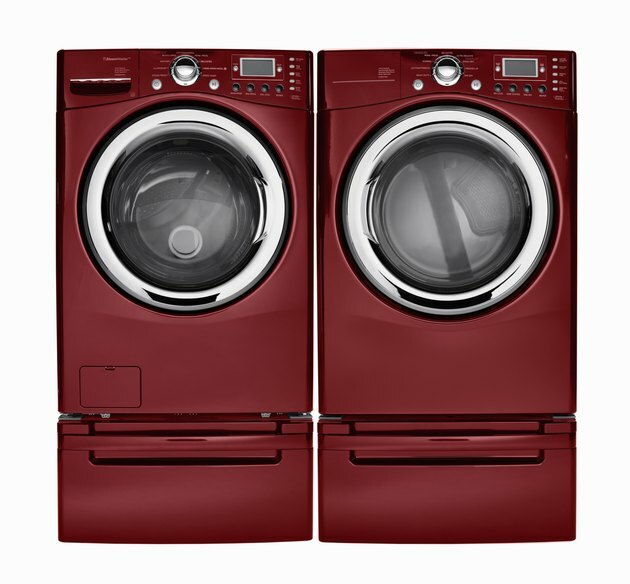 Keep the garment inside out during the dryer cycle to help protect the color.